Steven Clouse joined the firm in 2015. Mr. Clouse was raised in Noble County, Indiana, and graduated from Central Noble High School in Albion. Mr. Clouse graduated from Indiana University, Bloomington with a Bachelor’s degree in History in 1991. While at Indiana University Mr. Clouse was a four-year member of the famed Indiana University Marching Hundred, and also played in other campus concert bands. 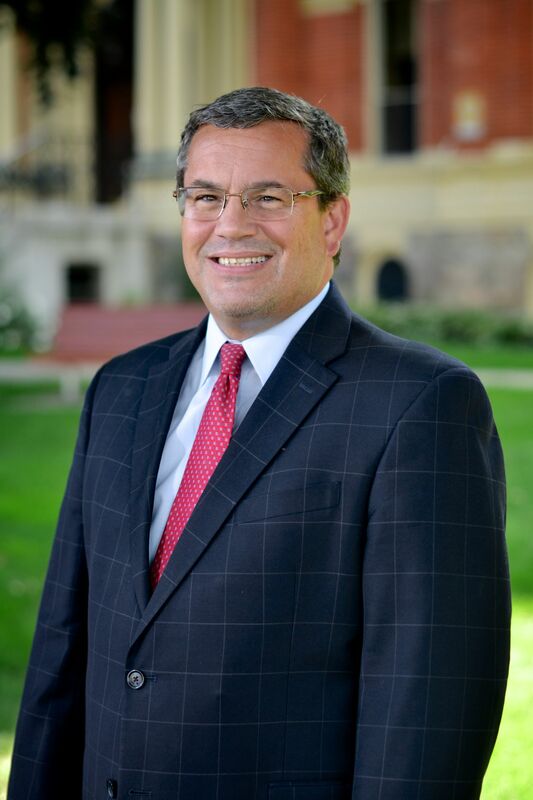 After earning his Bachelor’s degree, Clouse attended the University of Toledo College of Law in Toledo, Ohio where he earned his Juris Doctor in 1994. While in law school Mr. Clouse volunteered with the Volunteer Income Tax Assistance which allowed him to prepare income tax returns for low income families in Toledo. In 1994 Mr. Clouse was admitted to practice in all Indiana State Courts, as well as the Northern Federal District Courts of Indiana. After earning his law license, Mr. Clouse practiced in a variety of areas with the late Attorney Howard G. Heckner in Ligonier and Albion, and later served as a Deputy Prosecutor in LaGrange County before serving sixteen years as the elected Prosecuting Attorney in Noble County. While serving as prosecutor, Mr. Clouse established a superb jury trial record. Mr. Clouse currently serves as general counsel for the City of Ligonier as well as the Noble Rural Electrical Membership Cooperative. Mr. Clouse practices in a variety of areas with the firm including criminal defense, family law, and is also a certified domestic relations mediator. Mr. Clouse volunteers throughout the year with the Volunteer Lawyer Program for Northeast Indiana. In 2005 Mr. Clouse was appointed by Governor Mitch Daniels to serve on the Indiana Commission for a Drug Free Indiana, a position he held until 2012. Mr. Clouse has served as an adjunct instructor for the Center for American and International Law and the Indiana Chiefs of Police Association during training sessions with police officers throughout Indiana. In the community Mr. Clouse and his family are members of the South Milford Church of Christ.